Question - My maltese rescue dog constantly has red feet, what could this be from? Answer - One of the most common complaints dealt with in veterinary practice is skin issues. 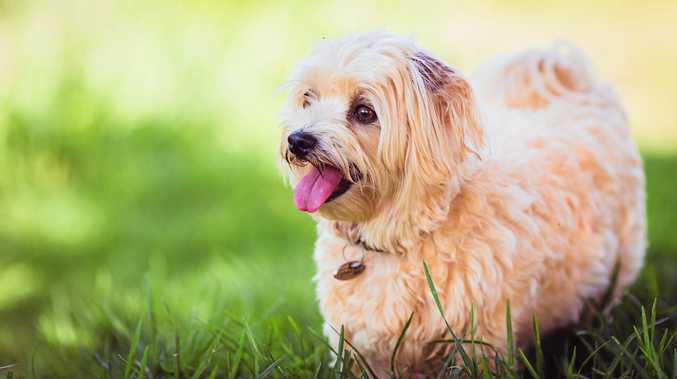 Maltese in particular will lick their feet in response to being itchy and this stains their feet. Why do they itch? Allergies. There are hundreds if not thousands of invisible things in the environment which may cause allergies. Common ones are fleas, bacteria, fungi, house dust mites, pollen or food. Once the allergy starts, the itch can only really be switched off using medication. Trying to guess at what is wrong, ends up being very frustrating and expensive. I think the main reason people move from one vet to another is because of what looks like an unresolved skin problem. If they were easy to fix, vets would be fixing them readily. Sadly, there is no magic silver bullet. They are often expensive and frustrating conditions to manage effectively. Itchy skin leads to excessive grooming. This will cause a change in the integrity of the skin causing a weakening of the skin, make it itchier and subject to invading bacteria and fungi contributing to increased skin irritation. Throw hot weather, sea sand and contact with grass into the mix and we end up with a very sore and red skin. Skin conditions need aggressive long-term and broad-spectrum treatment including modified diets, effective parasite control (ticks, fleas, mites and worms), germ control (bacteria and fungi), protection of skin integrity (specific shampoo and conditioner) and effective work up: testing both blood and skin to find the things causing the allergies as well as desensitising the patient. Frequent changing of vets becomes expensive because you never get to a point where you ever see an improvement. Listen to what your vet says about the condition and follow their instructions and be patient. If you don't trust your vet, it is unlikely you will be satisfied and well-meaning acquaintances with home remedies, do nothing more than increase your level of frustration. A cure may not be possible but management may be very effective.